Digital Xbox One version reviewed. Some mild spoilers are present to discuss previous episodes. 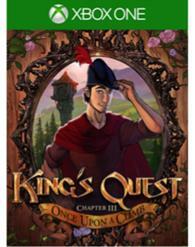 'Once Upon a Climb' is the third episode in the new King’s Quest reboot, following 'A Knight to Remember' and 'Rubble Without a Cause'. A slightly older young King Graham has decided that the business of monarchy is quite lonely. Dissatisfied with the company of his endlessly bureaucratic guardsmen, he sets out to find a fabled tower and claim the hand of the princess at the top, who is of course sitting there just waiting for a king to find and rescue her. Upon arrival at the tower, which has a curious staircase, he finds not one but two princesses awaiting rescue. They have been trapped there by a soggy old hag named Hagatha, and the only thing that can release them from her clutches is true love. The focus on this episode remains firmly placed in the past, with only brief interludes to the present. I don’t mind much, as while the Gwendolyn segments are entertaining, Graham’s adventures are far more interesting. The princesses are prisoners and while Graham is their best shot at freedom, his bumbling manner initially does little to impress them. For some reason, girls seem not to like it when you propose to them in front of each other. Graham prudently decides to get to know them as people first, and in so doing makes several friends and eventually a wife. The last episode sagged a bit as The Odd Gentlemen experimented with different methods of storytelling. The humor was spot on, but the Groundhog’s Day regimen became somewhat tiresome over time. It was markedly different from the first episode, which was more of the classic adventure game style (pick up this item, place it in this other thing later, etc.). 'Once Upon a Climb' differs even more, with less emphasis on gameplay and puzzles and more on meaningful interactions and thoughtful dialogue. Its humor is more clever than slapstick in nature, and the overall tone is growing up right alongside Graham. The writers have also succeeded in turning a rote damsel in distress story into a more modern take on romance, rife with subversive wit. It could have been rather awkward in a visual novel kind of way, but princesses Vee and Neese manage to avoid stereotypes and act as perfect foils for Graham. Vee is the more even-tempered of the two and has an interest in logic and card games, while Neese is more artistic and less predictable. Choosing Graham’s love interest isn’t as simple as a quick button press at the end of the episode; it’s a more organic process that carries out naturally. Hagatha sometimes sends the princesses out on errands away from the tower, and Graham and his dates get to meet some of his old friends. Puzzles are less common and less difficult in 'Once Upon a Climb', making it more of a modern adventure tale than a classic one. Some of it was kind of tedious, like putting vases on a shelf after an earthquake, while others were more fun, like a card game named Moral Quarrel that let me get to know the princesses better (it’s not a dating sim, I promise). 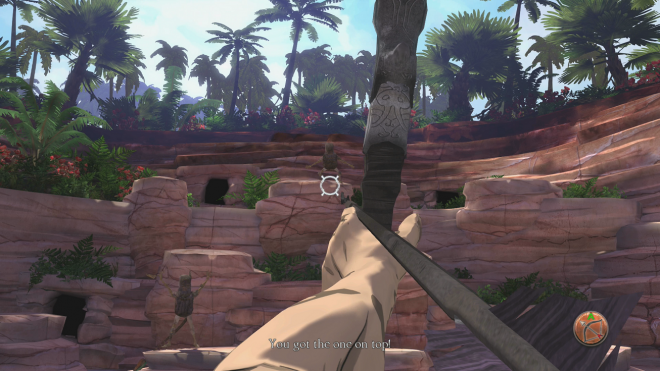 The lack of challenging puzzles results in fewer moments of tangible victory, but the pace and characterization in the story make up for any shortcomings in the gameplay. The rotoscoped/cel visuals are as pretty as ever. The characters have a distinct and appealing presence and the environments look better with each episode. There are more instances of clipping here, in clothes and whatnot, but nothing grave. The cast continues to shine, especially Old Graham. Both of the princesses, as well as Hagatha and the other new characters, put in star performances. The production value of the audio remains high. The choices in this episode are important but not quite as explicit as usual. A replay may perhaps be warranted to change Graham’s choice of queen later, depending on her screen time in the final episodes. 'Once Upon a Climb' didn’t quite tickle my fancy as much as 'A Knight to Remember', but it’s pretty close. The storytelling gets better with age, even if the puzzles don’t keep up as well. 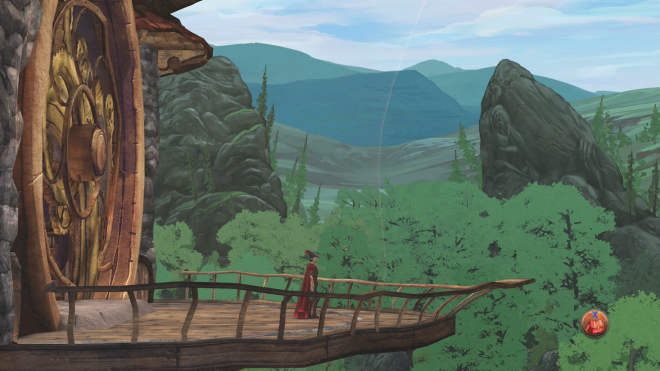 Still, this is an adventure game with a story to tell, and the gameplay is always going to be on the back burner. 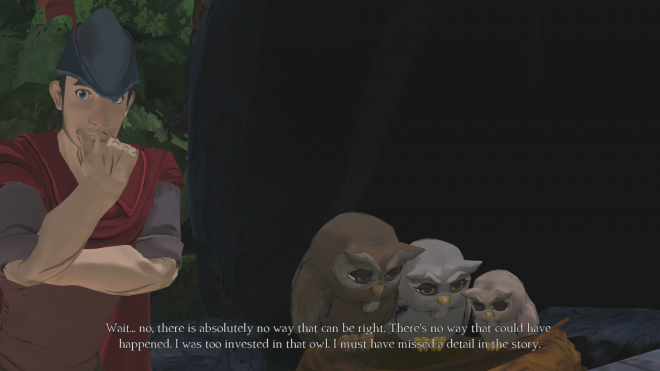 As usual, 'King’s Quest' is a good time, with jokes appropriate for almost all audiences.